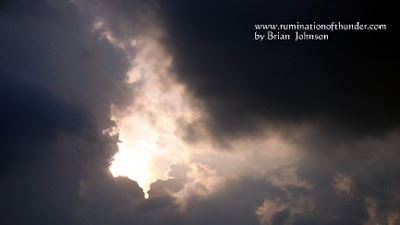 Rumination of Thunder: Beginnings . . . I was seven years old and I hated thunderstorms. Being a child of the Midwest, this meant every summer I was in abject terror. We lived behind a TV station and all around their radar tower was lightning rods. Across the street, was a church steeple. To this day, I don't know what got struck by lightning more. Knowing me, it was probably the church. My family loved to fish and camp, so every summer we went to a little spot called Melvern lake and we camped beneath the dam. We were there over Memorial Day weekend. Storms had hit earlier in the evening and intensified overhead in the dark. We sat in our fifth wheel camper and listened to hail plink off the roof and rocked as the wind buffeted the trailer's side. The weatherman looked nervous and tired on TV, there had been a lot of thunderstorm warnings, so we headed to the campground's storm shelter. I will use this in the loosest terms since it was a brown brick structure that housed the showers, washer and dryers, but solid if all hell broke loose. The shelter was full but we squeezed in. There was a nice place in between a washer and dryer and I hunkered down. I remember the sound of thunder but not the conversations. There was a lot of thunder and hail in the storm. People seemed tense, but the storm slowed down. My father called me and we went back to the camper. 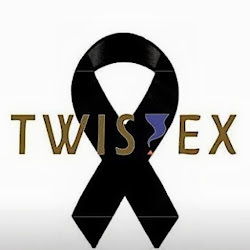 (Hint: for all you Twister Fans think of the term “Cone of Silence”). Back at the trailer, Dad knew I was scared, and to counter that, tried to show me Solitaire. To this day, I still don’t know how to play. The rain started again, lightning hit right outside flickering the power, and the weatherman interrupted regular programming. A tornado was sighted at Melvern Lake heading to the dam we were right below. Dad ran outside and got the truck. He pulled it close enough to the camper door that mom and I were able to jump right in when it started hailing. It was the largest hail I remember, but sometimes that’s how childhood memories are. We made it to the shelter with a line of people screaming and forcing their way in. We made it, right in front of a ripe pregnant woman screaming, “Oh my God. It’s going over the top of us”. I found my spot between the washer and dryer and waited for the apocalypse. . .
My novel “Hell to Pay” will be coming out August 2011 from Hellfire Publishing. Stay Turned . . . I might tell you more.